View The Obituary For Jack Lee Hillyer. Please join us in Loving, Sharing and Memorializing Jack Lee Hillyer on this permanent online memorial presented by Martin-Hollis Funeral Home. View The Obituary For Lois M. Tucker. Please join us in Loving, Sharing and Memorializing Lois M. Tucker on this permanent online memorial presented by Walker Mortuary & Cremation. View The Obituary For Kim R. Moore. Please join us in Loving, Sharing and Memorializing Kim R. Moore on this permanent online memorial presented by Felty Funeral Home. View The Obituary For Ronald D. Erdman. Please join us in Loving, Sharing and Memorializing Ronald D. Erdman on this permanent online memorial presented by Duffy-Pils Memorial Home. View The Obituary For Patrick R Boles. Please join us in Loving, Sharing and Memorializing Patrick R Boles on this permanent online memorial presented by Duffy-Pils Memorial Home. View The Obituary For Manuel Perez Toledo. Please join us in Loving, Sharing and Memorializing Manuel Perez Toledo on this permanent online memorial presented by Sourek Funeral Home. View The Obituary For Merle Martin Buerger. Please join us in Loving, Sharing and Memorializing Merle Martin Buerger on this permanent online memorial presented by Johnson Funeral Home. View The Obituary For Dillon R. Bunton. Please join us in Loving, Sharing and Memorializing Dillon R. Bunton on this permanent online memorial presented by Bauer Funeral Home. View The Obituary For Thomas “TJ” Davis. Please join us in Loving, Sharing and Memorializing Thomas “TJ” Davis on this permanent online memorial presented by Bauer Funeral Home. View The Obituary For Jean Hendrickson. Please join us in Loving, Sharing and Memorializing Jean Hendrickson on this permanent online memorial presented by Hilligoss Shrader Funeral Homes. View The Obituary For Jack Lee Hillyer. Please join us in Loving, Sharing and Memorializing Jack Lee Hillyer on this permanent online memorial presented by Dodsworth-Piper-Wallen Funeral Home. View The Obituary For Victor “Joe” Joseph Flori. Please join us in Loving, Sharing and Memorializing Victor “Joe” Joseph Flori on this permanent online memorial presented by Seals-Campbell Funeral Home, LLC. View The Obituary For Bernard L. “Bernie” Legner. Please join us in Loving, Sharing and Memorializing Bernard L. “Bernie” Legner on this permanent online memorial presented by Duffy-Baier-Snedecor Funeral Home. View The Obituary For Reed E. Hoffman. Please join us in Loving, Sharing and Memorializing Reed E. Hoffman on this permanent online memorial presented by Beverage Family Funeral Home. View The Obituary For Lois M. Tucker. Please join us in Loving, Sharing and Memorializing Lois M. Tucker on this permanent online memorial presented by Hermann Funeral Home. View The Obituary For Bernice Ramage of O'Fallon, Illinois. Please join us in Loving, Sharing and Memorializing Bernice Ramage on this permanent online memorial presented by Wolfersberger Funeral Home. View The Obituary For Clarence Wilbur Thurman JR. of Danville, Illinois. Please join us in Loving, Sharing and Memorializing Clarence Wilbur Thurman JR. on this permanent online memorial presented by Leek & Sons Funeral Home. View The Obituary For Maureen C. Keske of Crete, Illinois. Please join us in Loving, Sharing and Memorializing Maureen C. Keske on this permanent online memorial presented by Smits Funeral Homes Ltd..
View The Obituary For Therese M. Curto of Antioch, Illinois. Please join us in Loving, Sharing and Memorializing Therese M. Curto on this permanent online memorial presented by Kevin Kristan. 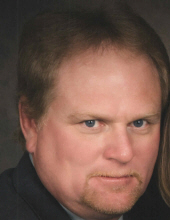 View The Obituary For Ronald D. Erdman of Chenoa, Illinois. Please join us in Loving, Sharing and Memorializing Ronald D. Erdman on this permanent online memorial presented by Duffy-Pils Memorial Home. View The Obituary For Merle Martin Buerger of Carbondale, Illinois. Please join us in Loving, Sharing and Memorializing Merle Martin Buerger on this permanent online memorial presented by Johnson Funeral Home.